Fife Council has approved a proposal to build an £11 million public access golf course on a 165-hectare agricultural parcel along the golf-rich Fife coastline. 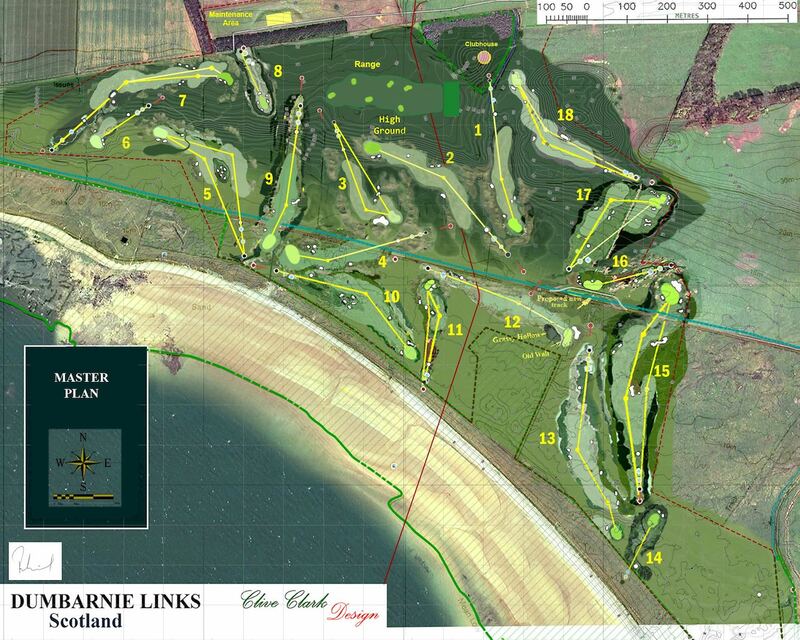 To be known as Dumbarnie Links, the course overlooks Largo Bay and will apparently be designed by Paul Kimber and BBC golf commentator Clive Clark. Kimber was formally employed by David Kidd’s company (DMK Golf Design), and lists himself as ‘Lead Architect’ for the Castle Course at St Andrews and Machrihanish Dunes among other projects. Alongside an 18-hole ‘links-style’ golf course that nears the beach at Largo Bay, the proposal includes a clubhouse, restaurant, bar and professional shop. It has been estimated that 30 full-time jobs will be created, as well as work for 90 caddies. The developer, Dumbarnie Links Ltd, has been quoted as aiming for a World Top 100 ranking and suggests that 28,000 visitors will play the course by year seven. As one of the many thousands who adore golf in the Kingdom, I can only wish the designers well with this project and keep my fingers crossed that they deliver something more fun and playable than other modern ‘links’ in the area. Another Kingsbarns would certainly be more welcome than another St Andrews Bay or another St Andrews Castle. The 18-hole pay-as-you play course at Dumbarnie Links, near Lower Largo, was given the green light by members of Fife Council’s North East Fife planning committee despite concerns about its impact on ecologically-sensitive areas, including a designated Site of Special Interest and a Scottish Wildlife Trust nature reserve. Committee members were assured alterations could be made to some of the holes planned to mitigate any harm. They were also promised that rare orchids said to be present in the area would be protected. Planner Chris Smith said there would be an economic benefit for the area. He said: “They are not providing holiday accommodation. They want to spread the benefits to the wider community. Mr Smith also said the visual impact of the course overlooking Largo Bay would be limited, aided by 75% of the course comprising “out-of-play” areas.